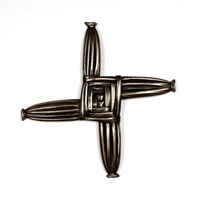 St Brigid is the most important of Ireland's female saints, the patron of healers & midwives. 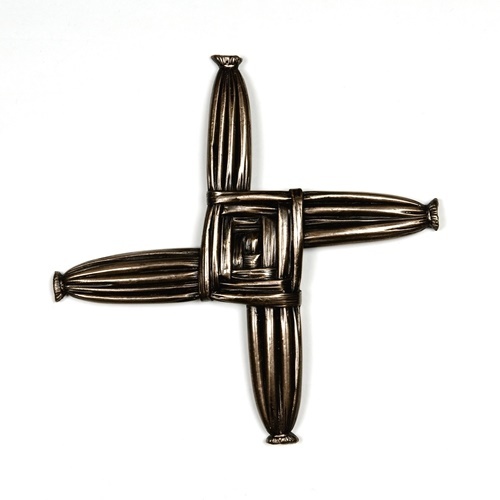 The tradition of weaving her cross from reeds for 1st February, to celebrate the arrival of Spring, continues to this day in rural Ireland. The newly woven cross is hung by the door to protect the home & family. All Wild Goose Studio's work is handmade by skilled craft-workers and any variations in finish are part of its unique appeal. Each piece has a skin of pure metal – either bronze or cast iron – backed by a resin and ceramic core.